Shetland Fishermens Association chief exec Simon Collins. 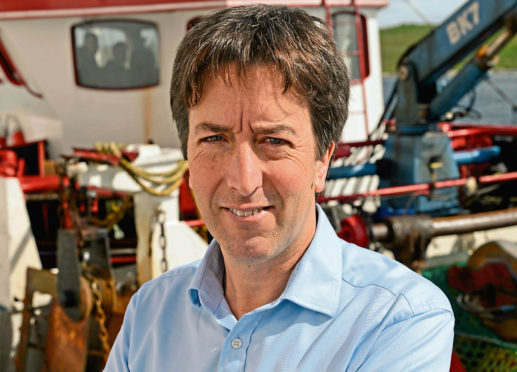 Fishing chiefs are urging Shetland Islands Council to recognise the importance of the Sullom Voe harbour area to inshore fishermen as the local authority responds to a significant fall in tanker activities. Shetland Islands Council (SIC) has launched a consultation as part of producing a “master plan” for potential development within the harbour limits. Shetland Fishermen’s Association executive officer Simon Collins said: “Our concern is that there seems to be an assumption that there is a blank canvas here. “We have a mountain of evidence that this is not the case, that the area has been and continues to be hugely important for fishing of all types, from shellfish to white-fish and even pelagic species.